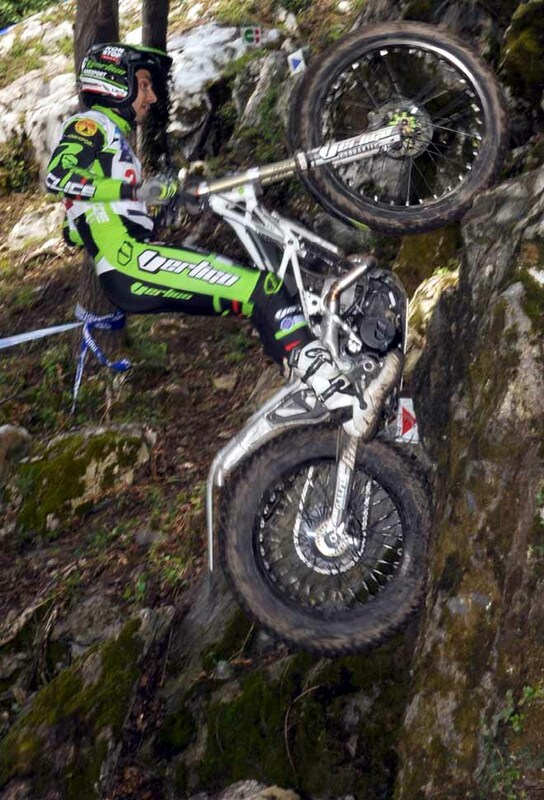 Bou topped again ahead of team mate Fujigas! 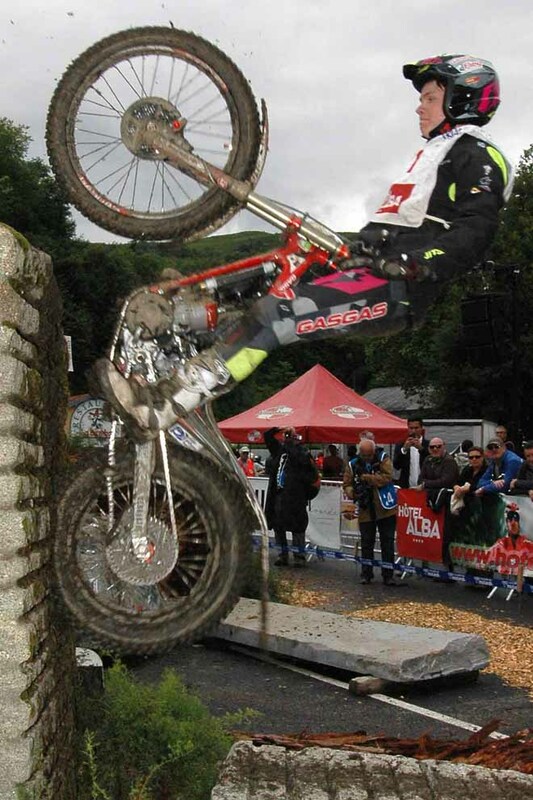 The opening day of the French Grand Prix in Lourdes that marks the fifth round of the 2016 FIM Trial World Championship was cut short after the competition had to be stopped to allow a medical helicopter access to a restricted part of the course to evacuate an injured rider’s assistant who had suffered concussion, but was later confirmed to be in a stable condition. 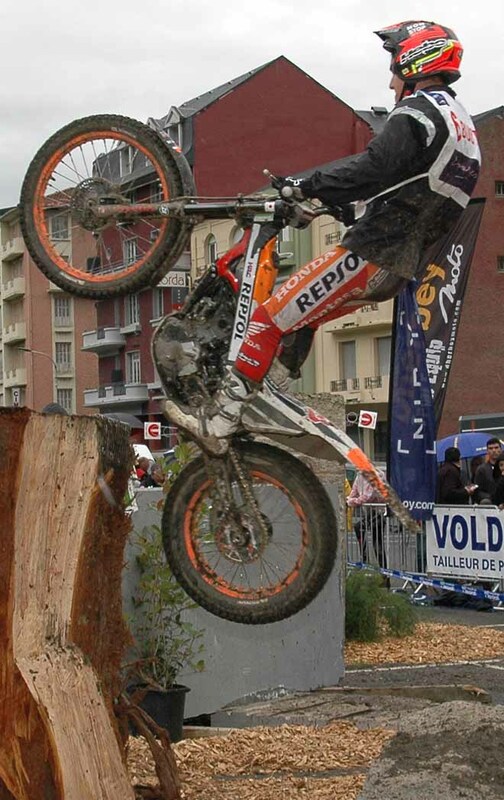 The event was declared a full result (with more than half of the Trial having been completed) after section five on the final lap of three. 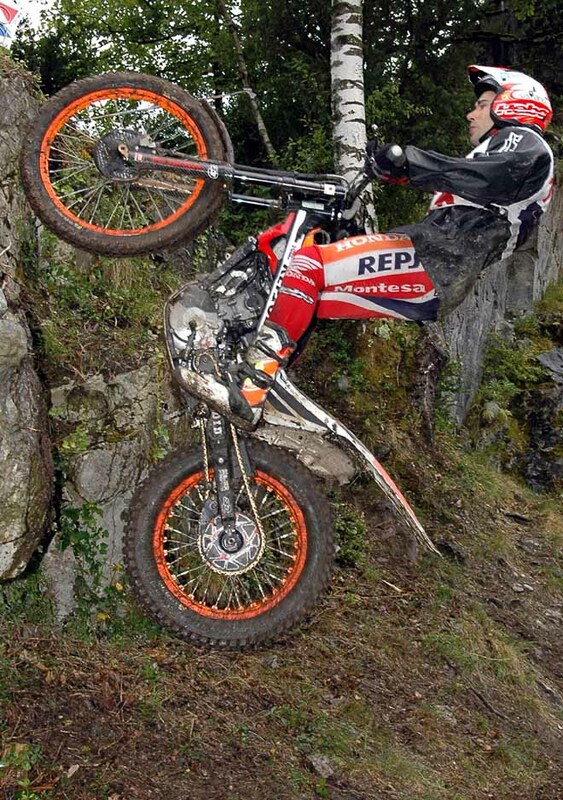 Toni Bou – Repsol Hondawas the eventual winner on a day when heavy rain caused havoc on the hillside course. Bou made light work of the slippery hazards despite the inclement weather, but it was the course that really took its toll on both the rider’s and less able assistants who needed be pulled up the rocky path that connected the lower opening five sections to the three hazards (six, seven and eight) that sat high above the spiritual town. 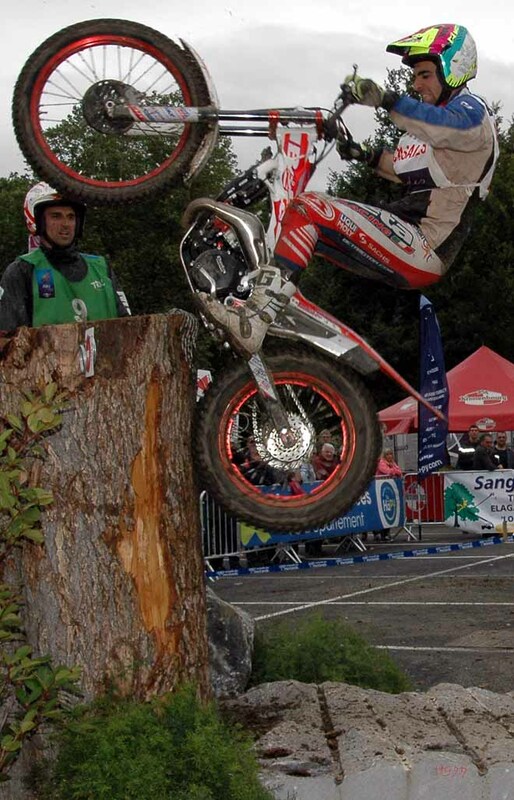 It was on this part of the course that the unfortunate incident occurred, thus blocking the passage of the six remaining TrialGP riders – Bou, Adam Raga – Gas Gas, Takahisa Fujinami – Repsol Honda, Jaime Busto – Repsol Honda, Miquel Gelabert – Sherco and Jeroni Fajardo – Vertigo. 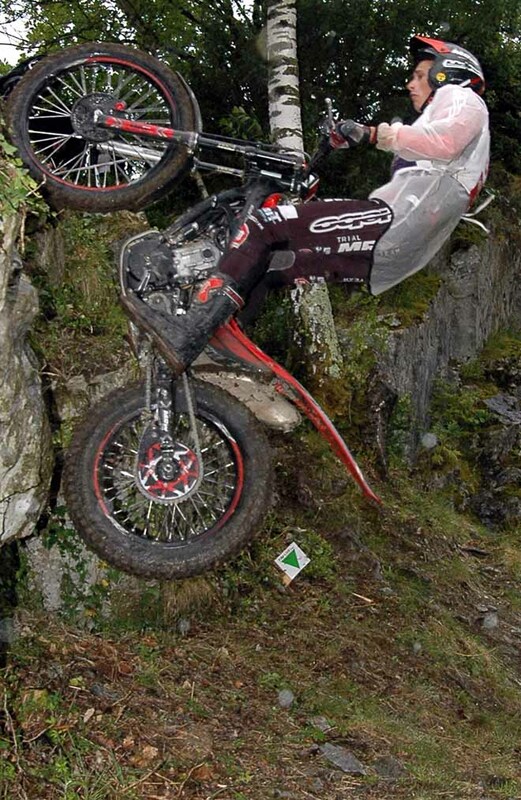 The Trial125 and Trial2 classes were not impacted by this situation and were able to complete all three laps of twelve sections in their entirety. 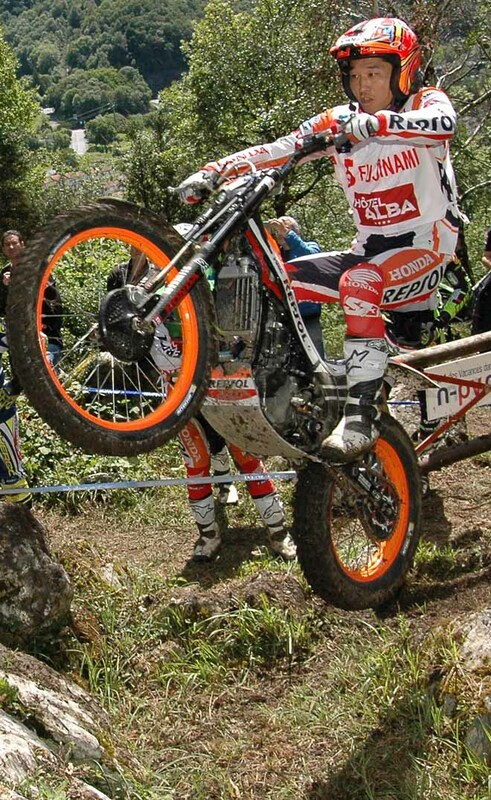 Two strong opening laps saw Fujinami claimed his first runner’s up spot of 2016 as Raga lost further ground to Bou in the title fight by finishing on the lowest step of the podium today. Bou now heads Raga by twenty-two points. 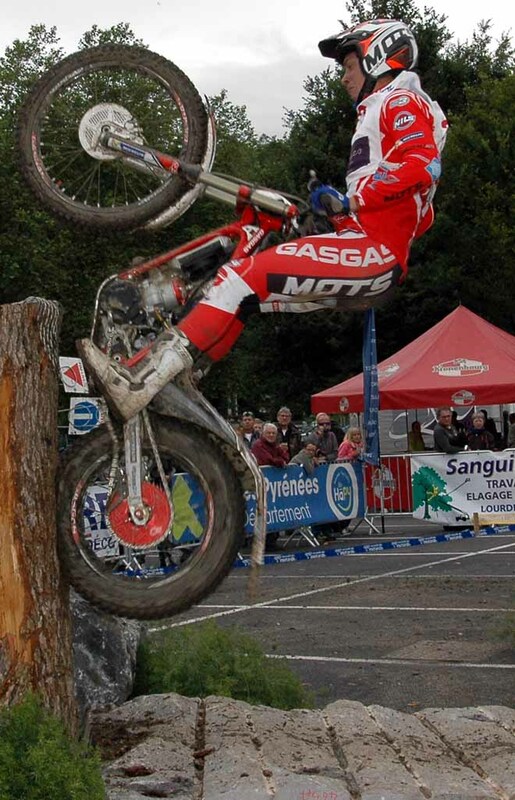 Jorge Casales – Beta recorded his best result of the season to date as he placed fourth after beating James Dabill – Vertigo by a single clean in the tie decider. Dabill’s team mate Fajardo sealed sixth position just one mark ahead of Matteo Grattarola – Gas Gas in seventh as Busto endured his worst finish of the 2016 campaign so far in eighth. 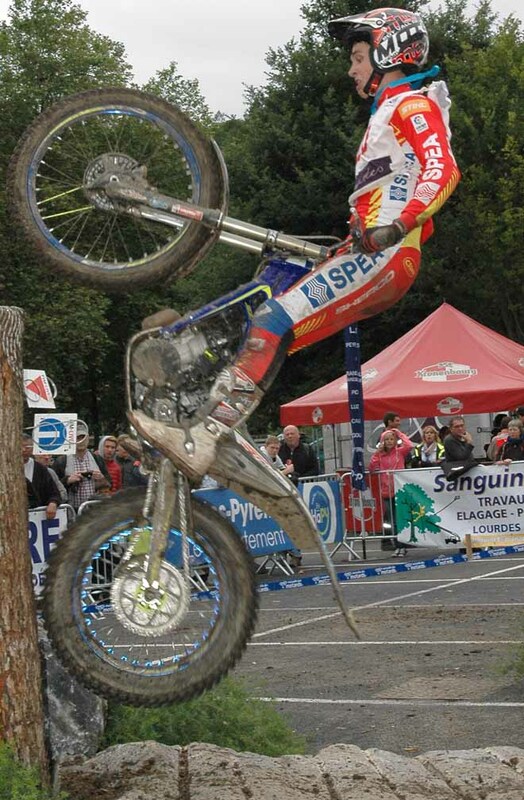 Franz Kadlec – Gas Gas and yet again off-form Albert Cabestany – Sherco closed out the top ten on day one respectively. 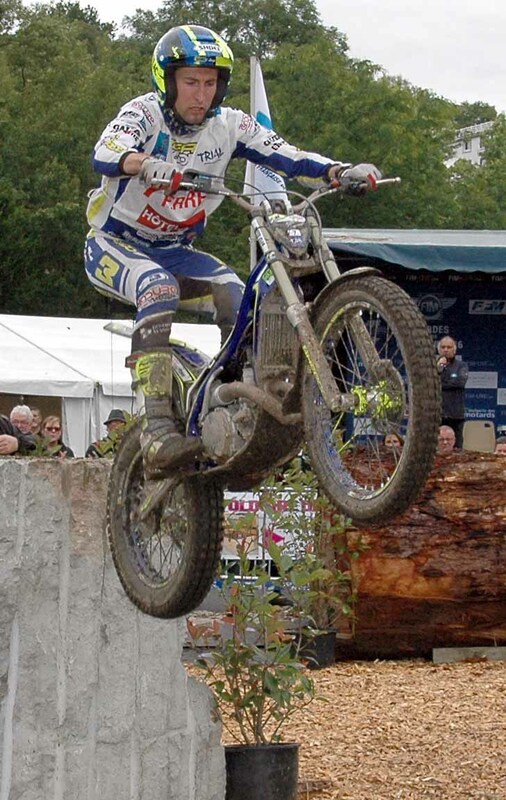 Gael Chatagno – Sherco maximised his home advantage as he claimed his first ever win in the Trial2 class on the opening day of the French Grand Prix. Chatagno took a comfortable lead into his third and final lap, but he endured a tough closing twelve sections as he came under pressure from series leader and eventual runner up Jack Price – Gas Gas. 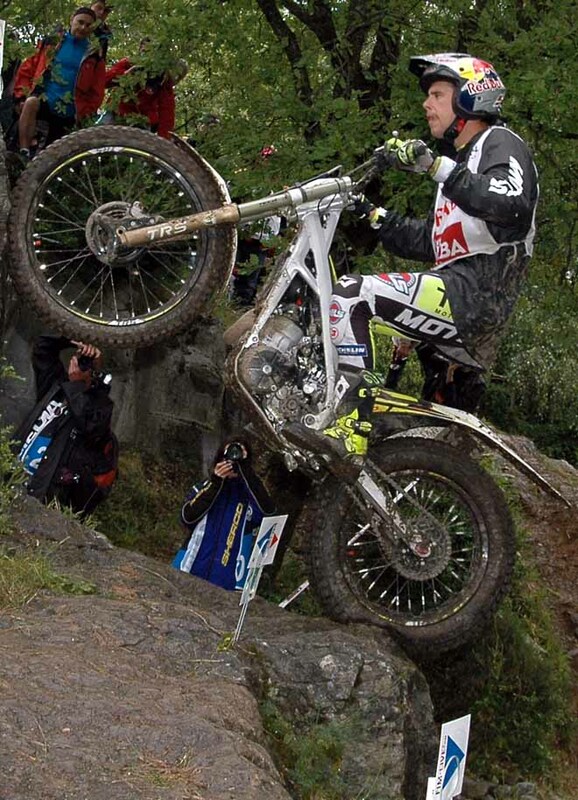 Price finished just four marks shy of his French rival at the end of the Trial to increase his lead in the overall standings. Dan Peace continued his better run of form as he recorded his third podium placing of the campaign in the almost British like conditions. 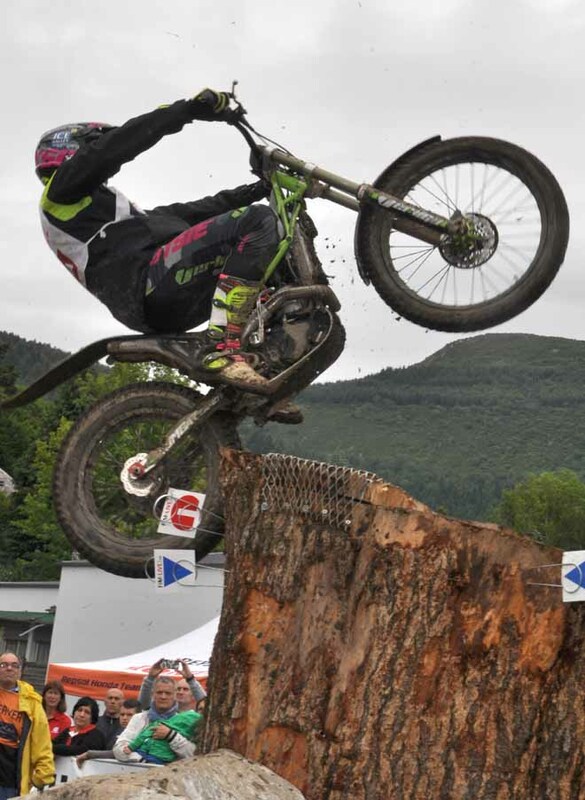 Fourth spot today for Iwan Roberts – Beta put him thirty-three point behind Price in the title chase, as Marc Riba – Gas Gas rounded out Saturday’s top five in the Trial2 class. It was back to winning ways for Jack Peace – Gas Gas today, as he notched up his sixth victory of the season in the Trial125 class. Peace produced an outstanding performance in the wet and muddy conditions to end the day nineteen marks clear of his main title rival Max Faude – Beta who was victorious last time out. 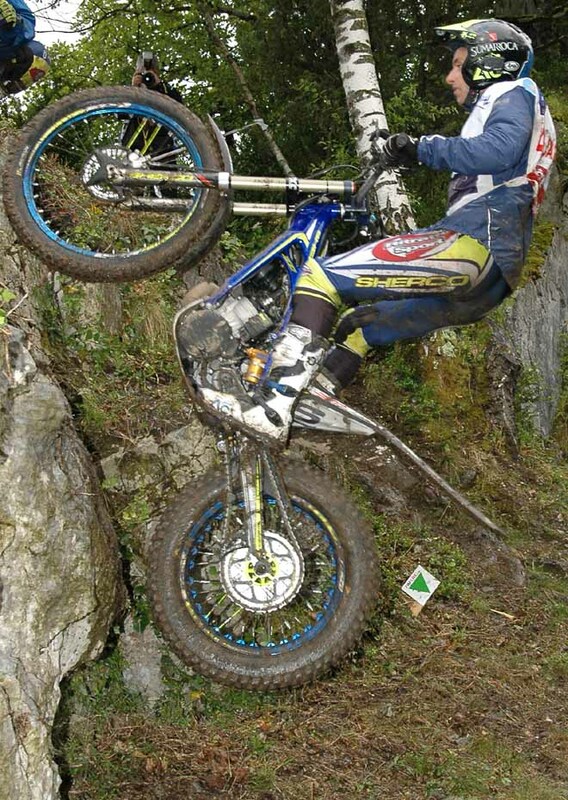 As was the case during both days of the previous round in Andorra, Spain’s Eric Miquel – Sherco completed the Trial125 rostrum. After his triumph today Peace has extended his lead at the top of the general standings to nineteen points over Faude. 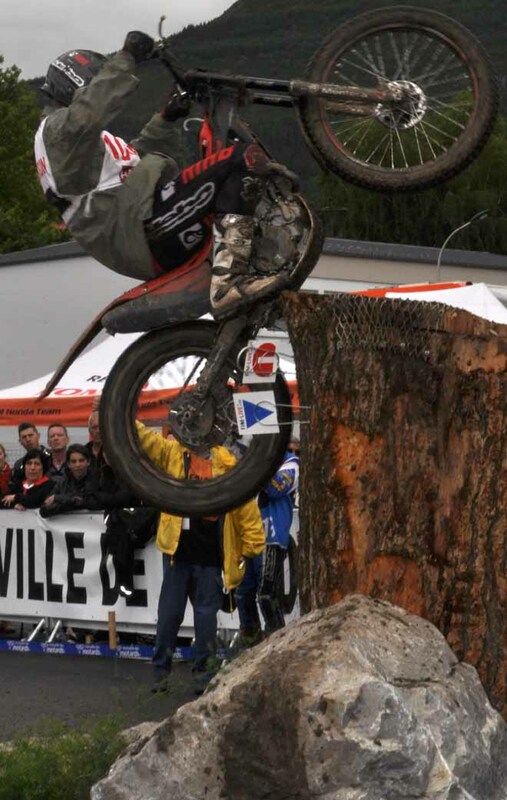 After the events of today and with further rain forecast in the next twenty-four-hour period, the three highest sections on the course look likely to be replaced by three new hazards lower down the hill in order to offer the riders and their assistants improved safety on the second day of the French Trial GP that will start at just after ten o’clock local time tomorrow. Gara stoppata dopo la zona 5 del terzo giro per pemettere all'elicottero di prestare soccorso al minder di Miquel Gelabert, caduto picchiando fortemente il costato. Lo spagnolo è stato trasportato all'ospedale e la gara per la classe Trialgp dichiarata valida su 29 zone (12+12+5). Ovviamente chi era avanti ed ha fatto una gara più veloce, ne è stato penalizzato. Tra questi il nostro Grattarola, che era partito molto forte, e pur aprendo traiettorie nuove in moltissime zone, aveva lasciato a bocca aperta il pubblico, tormentato da un tempo infame: pioggia e sole si sono alternati in continuazione. Dal quarto posto del primo giro ha poi ceduto un po' alla distanza scendendo al quinto dopo due giri ed al settimo posto finale, dopo l'inaspettata decisione di accorciare la gara. Un ottimo riscatto dopo Andorra.